Teeth Whitening by Dr. Bruce Vafa - Beverly Hills Dentist | Smile Angels of Beverly Hills - Bruce Vafa DDS. The enamel on your teeth is the strongest substance in the human body, but it is also porous, which allows stains to seep into the enamel and dentin, the underlying layer. These stains can be difficult to remove with brushing alone, and even a professional cleaning is often not enough to budge yellow and brown stains from nicotine, coffee, cola and other common substances. Our Beverly Hills teeth whitening expert can help. 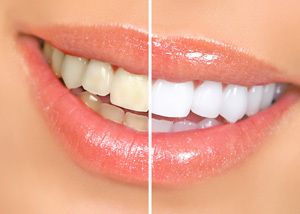 In-office whitening is an excellent choice for anyone who wants immediate results and is both simple and comfortable. Our expert in teeth whitening in Beverly Hills, in the heart of Los Angeles, begins by preparing your gums and lips to protect them from the whitening process. The gel is then applied directly to the teeth and activated by a special light. This process is repeated a few times over the course of the appointment and is often completed with a quick fluoride treatment. Most patients achieve smiles that are as much as eight shades lighter than before whitening. This option can be a good choice for patients who want a more gradual whitening experience. Our Beverly Hills teeth whitening expert will begin by preparing the whitening trays. These trays are customized to fit your teeth exactly, and this helps minimize the risk of gum irritation while ensuring maximum contact between the enamel and the whitening solution. We then provide you with a powerful prescription-strength whitening solution, which you will apply according to our instructions until you have reached your whitening goals. These trays are usually worn for a specific time every day for a prescribed period. Every smile is different, and we consider your unique goals and needs when we create your whitening regimen. 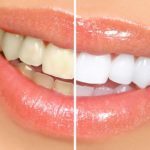 Our expert in teeth whitening in Beverly Hills, in the heart of Los Angeles, will explain each of your options and make personalized recommendations. Keep your smile sparkling after your whitening treatment by brushing and flossing daily and using touch-up treatments as needed. 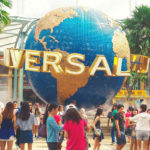 You may also need to limit or avoid tobacco, soft drinks, wine and other staining substances. Contact our office today to learn more or to schedule your appointment with our Beverly Hills cosmetic dentist.